Dutch newspaper De Volkskrant asked us to make a photograph for their documentary photography special, with the theme Food. 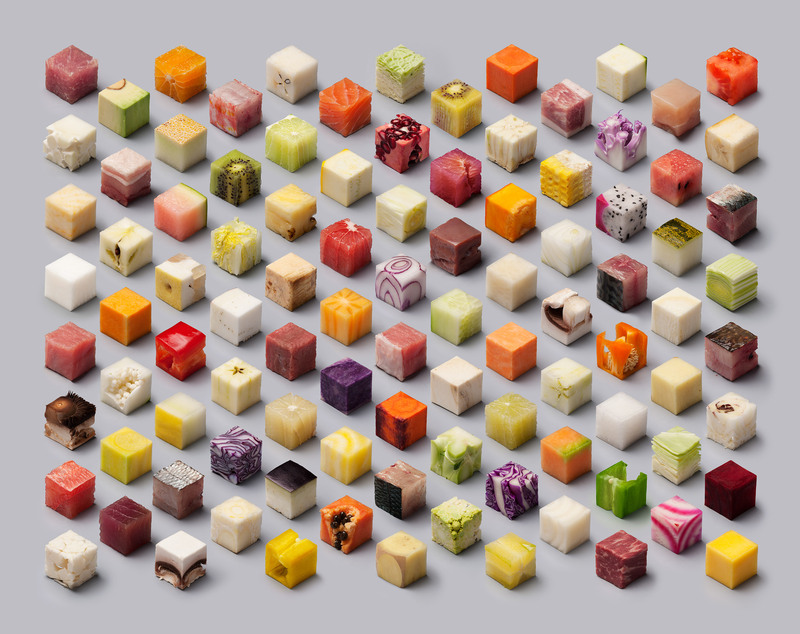 We transformed unprocessed food into perfect cubes of 2,5 x 2,5 x 2,5 cm. Cubes is available as C-print and poster. Please contact us for the 100 x 80 cm framed limited edition.